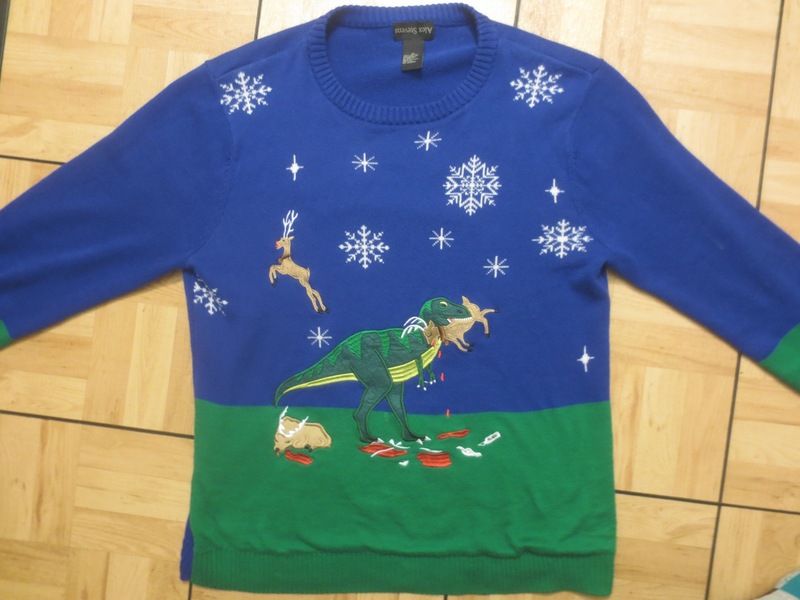 I have more than my share of awesomely terrible holiday sweaters. But this is definitely the most tasteless one that I own. I found this treasure several months ago for a few bucks at Goodwill, and I just had to have it of course. 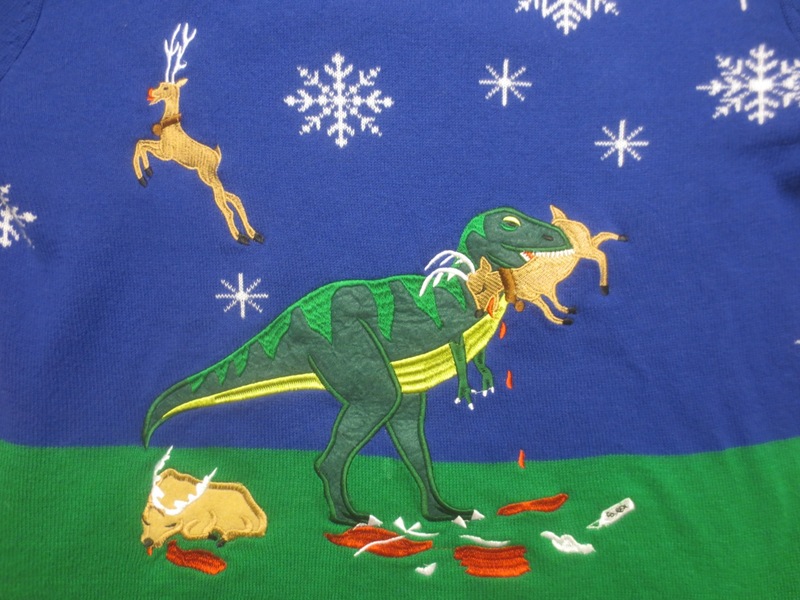 While Santa's magic reindeer have the gift of flight, that has not spared them from the wrath of this hungry Tyrannosaurus Rex. I was a tad embarrassed wearing this around the museum today, since so many young children were running about. 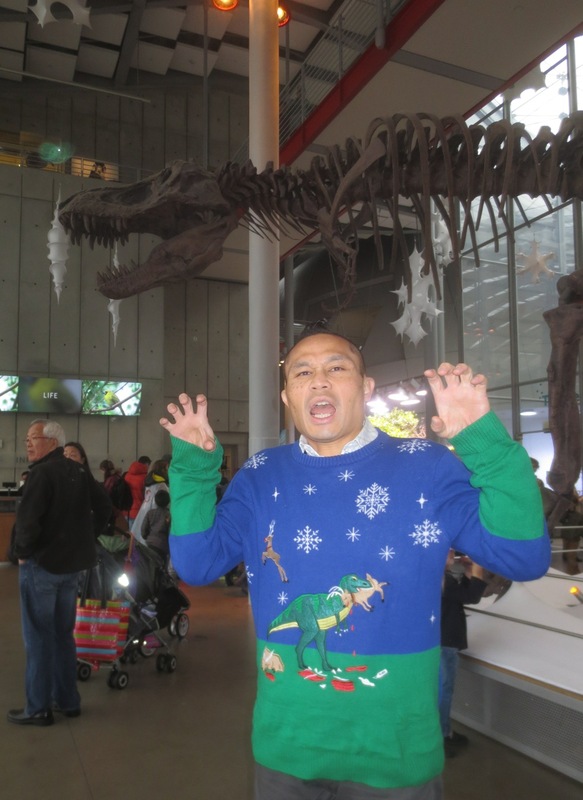 But I wasn't about to miss the chance to get a picture of the sweater near our iconic t-rex skeleton! Cause, you know, SCIENCE.